This PUR replacement filter is compatible with all other PUR filter products which specifically use the CRF-950 or CRF-950Z replacement filter. The PUR CRF-950Z water filter is identical to the PUR CRF-950 except that it is slightly taller and has a thicker O-ring. The 2-Stage PUR CRF-950Z water filter replacement removes 98% of lead, and 98.5% of harmful Class I particulates. 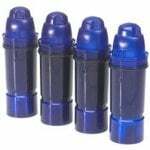 It also reduces mercury, cadmium, copper, benzene, sediment, dirt, pharmaceutical residues, various agricultural and industrial pollutants, and many other impurities. 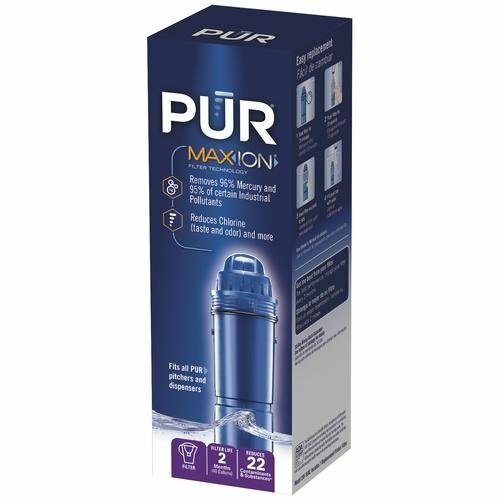 This PUR water filter does not remove beneficial flouride. The PUR CRF-950Z replacement filter should be changed about every 1-2 months or 40 gallons. 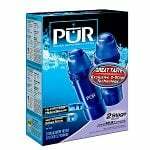 For convenience and also to save money the PUR CRF-950Z water filter replacement is available to purchase in a 2-pack, 3-pack, or 4-pack. Installation of this replacement filter is very quick and simple. Full instructions for the proper installation and use of this PUR filter replacement is included in the packaging. All PUR products are certified by NSF International to NSF/ANSI Standards 42 & 53.